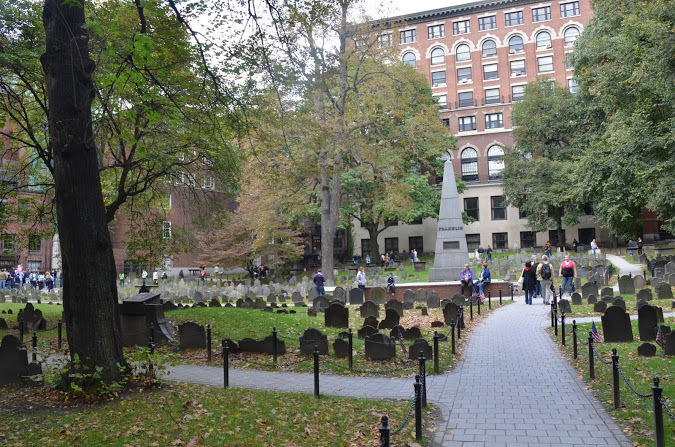 From the minute you enter the Granary Burying Ground, you can feel the history emanating from the graves of those laid to rest here. 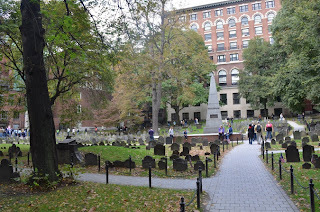 Being the third oldest cemetery in Boston with its founding in 1660, it has a special place in American history. There are many notable persons buried here with some having prominent Masonic connections. 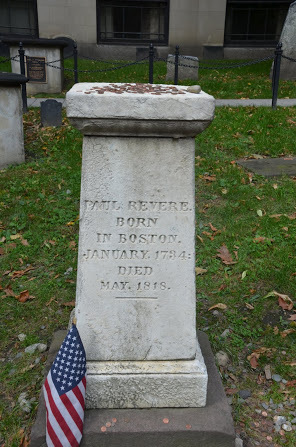 Amongst these is Paul Revere 1735-1818. 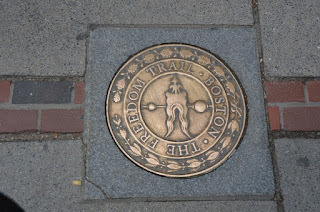 Brother Revere was of course most famous for being a silversmith and his Midnight Ride and the signaling in the North Church of “one if by land and two if by sea”. 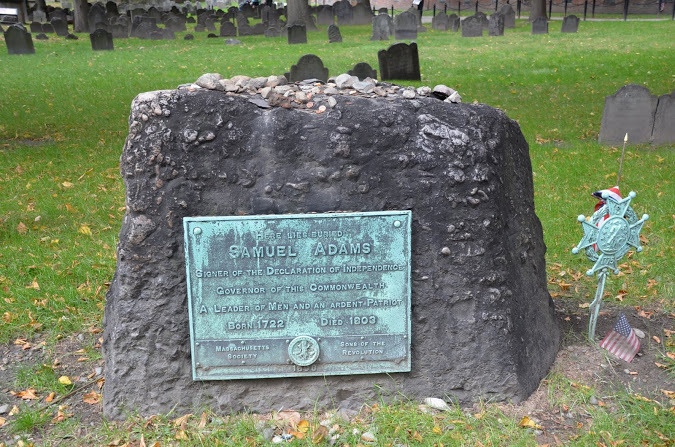 He was a member of St. Andrews Lodge in Boston and served as Grand Master of Massachusetts in 1794-1797. 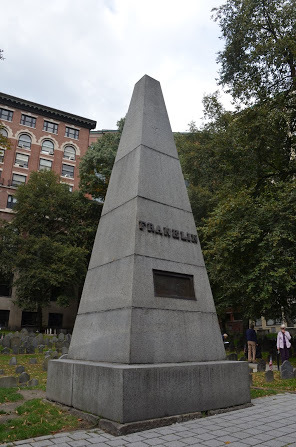 Brother Benjamin Franklin’s parents are buried under a prominent obelisk that was erected in 1827 long after their death. 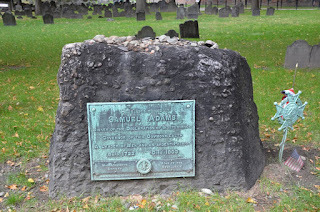 Brother Franklin himself is buried in Philadelphia, PA.
Other notables at Granary Burying Grounds include Samuel Adams (who was not a Freemason) a signer of the Declaration of Independence, Mother Goose and Henry Price the founder of Freemasonry in America. 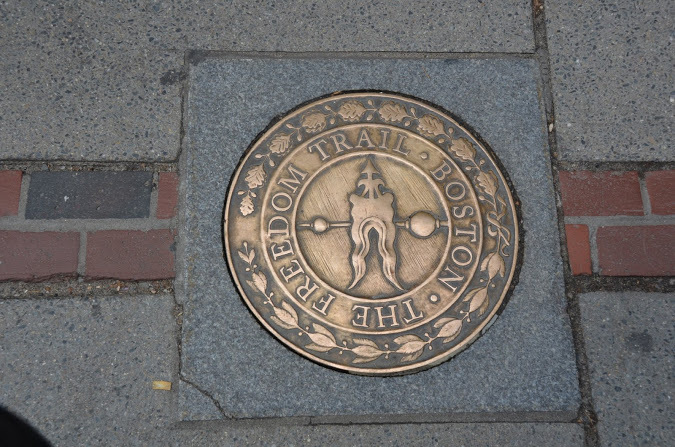 Next on our trip along the Freedom Trail will be a stop at Kings Chapel. WB Gregory J. Knott is the Past Master of St. Joseph Lodge No. 970 in St. Joseph (IL) and a plural member of Ogden Lodge No. 754 (IL), and Homer Lodge No. 199 (IL). He's a member of both the Scottish Rite, and the York Rite, and is the Charter Secretary of the Illini High Twelve Club in Champaign-Urbana. He's also a member of the Ansar Shrine (IL). Greg is very involved in Boy Scouts--an Eagle Scout himself, he serves the Grand Lodge of Illinois A. F. & A. M. as their representative to the National Association of Masonic Scouters. What Kind Of Mason Are You?